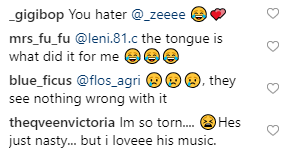 Video of many Black Women wiping off R Kelly’s Tongue & Sweat During his latest Concert has the Black Community Talking. There’s a video that was posted where black women were caressing and wiping off R.Kelly’s face. 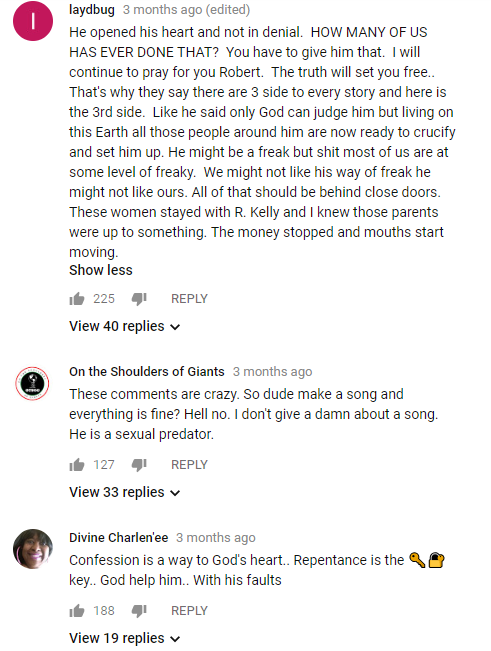 R.Kelly had recently released a song called, “I admit”, literally admitting to a lot of his allegations. 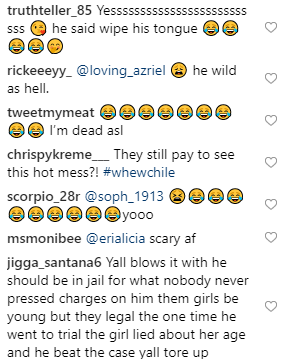 The Black community is currently discussing (a discussion had many times before), how we let black men in R&B and Rap get away with many things like sexual harassment, hurting black women, domestic violence, degrading of black women among other things, simply because they enjoy their music, their support for the man continues, perpetuating and allowing actions such as his to continue within the community. 300 pound woman pleads guilty to Murdering her boyfriend by Sitting on him. Company tells a Black Woman they will not hire her because her name is “Ghetto”. She gets the screenshot. Slick Woods has reportedly Gone Into Labor at Rihanna’s Fashion Show, she has Given Birth, and Chosen a name. Chance the Rapper says The world is not billions of years old. He argued with people on twitter.